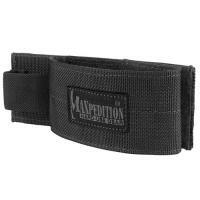 The Maxpedition universal holster is ideal for those who are looking for a holster that is adjustable and practical for carrying almost all pistol sizes. Because of the high durability, extra strength and versatility, this holster is highly popular among law enforcement officials. You can protect your pistol from abrasions and harsh elements which cause excessive damage to the pistols exterior finish. The loop interior design guarantees safety plus allows for extra storage of other tactical items as well, adding to convenience and giving guaranteed versatility! You also gain that extra space for secondary magazine clips due to the elastic grip design. Further, when an officer needs to be quick on the draw, this unique design ensures it is possible. What more could be asked for in a high-grade universal holster? Remember, this is perfect for compact and auto designs, even a Glock fits well.